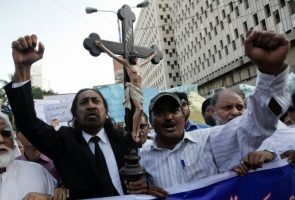 Saudi Arabia is an example of a situation where it is extremely difficult for Christians to practice their faith, for people to read their Bibles or have access to Bibles, but you don't hear about persecuted Christians in the region because the government has such total control over what happens there. Dr. David Curry is the CEO of Open Doors USA, an organization which advocates for persecuted Christians around the world. In part one of CP's interview with Curry, he discusses ISIS' surge in Iraq and its implications for Iraq's remaining 500,000 Christians and its effects on neighboring Syria. This is part two of the interview where he shares with The Christian Post why 2014 has generally been a more peaceful year for the Egyptian church than 2013. Curry had recently returned from Egypt. 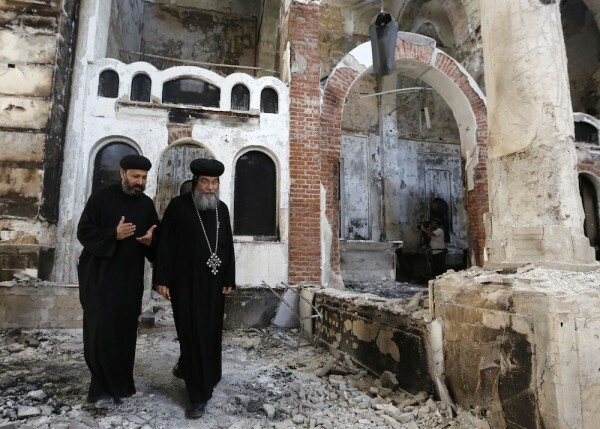 (REUTERS/LOUAFI LARBI) Bishop-General Macarius (R), a Coptic Orthodox leader, walks around the burnt Evangelical Church in Minya governorate, south of Cairo, August 26, 2013. CP: From my understanding, part of the problem in 2013 was that law enforcement often left Christians to fend for themselves last year against militants. Curry: I was just in Egypt so I’m familiar with the situation there. The former government that was toppled by a vast majority of the Egyptian culture — there were 20 million people marching in the streets of Cairo on the day that the government fell — it was uprising of the people, both Christians and moderate Muslims, to the fact that you had an extremist regime and that’s what’s trying to be imposed in Iraq. That’s what’s trying to be imposed in Syria. It’s the same goals of Boko Haram in Nigeria. All of these have commonalities — also in Tunisia as well, they tried the same thing. Islamic terrorists are making a concerted effort and it is concerted in the fact that they have means, they share intelligence and methodology, to try and force regime change, a Sharia law regime. This is not true of every person that practices Islam; it’s true of terrorist groups that have regime mentality. They try and force people away from Christianity and force people to practice Sharia law and that was the goal of the government in Egypt and now they have a more, I guess you could say, secular perspective that is allowing freedom for Christians. CP: Is this something that is unique to Sunni Islam? Curry: I would just say that it has more to do with these groups who self-identify as terrorists who want to impose Sharia law. I wouldn’t be any more broad than that. I put this at the feet of Muslim Brotherhood, Boko Haram, and the groups that I’ve identified. CP: What do you know about the Christian population in the Gulf States? Curry: Just to give you an idea, I don’t know if you’ve seen the World Watch List that Open Doors produces where it ranks the most difficult countries in the world to practice your Christian faith. Saudi Arabia ranks sixth on the list and it ranked higher in the past, the reason why it dropped was because the others have spiked in violence, Syria and Iraq. 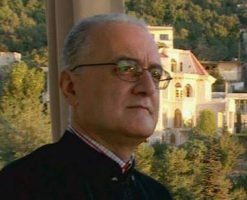 Saudi Arabia is an example of a situation where it is extremely difficult for Christians to practice their faith, for people to read their Bibles or have access to Bibles, but you don’t hear about persecuted Christians in the region because the government has such total control over what happens there. Where you have acts of violence is where you typically have a fallen state, a fallen government, or there’s no government at all or that there’s an extremely weak government that’s unwilling to protect these groups. It’s very difficult for people in some of these Gulf States to practice their faith and have free access to their Bibles. CP: Are these Christians part of the Arab or Saudi Arabian ex-pat population? Curry: There are Christian populations which are indigenous to Saudi Arabia and those people have to worship in secret. There are also ex-patriotic communities which may be larger than some of the Saudi populations that also want to express their Christian faith, and I would say it’s difficult for both of them, although much more difficult for the Saudi population. An American might not have that problem that some of the others would, but it’s a very difficult place for Christians. 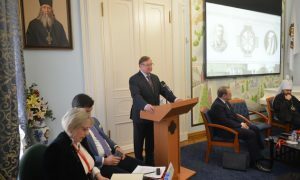 CP: What’s the situation like in Iran these days? Curry: The church in Iran is strong and growing despite persecution in the past and despite the fact that the government would like to see Christianity extinguished there. The faith is growing and the church is strong there. They face a lot of restrictions. They face a lot of pressure. It’s number nine on our World Watch List. It’s very difficult for believers there. And the charm offensive of the government there hasn’t made it any easier on believers, in my opinion. CP: Any last thing you can add about Egypt? Curry: This is true of Egypt and Iran, this a place where the church is strong and it’s young. The persecution that the Egyptian Christians have been through in the past three years has made faith deeper and so my interactions with the Egyptian church left me encouraged. But they’ve been through very difficult times and it can be very dicey. You have to remember, not all persecution is just from government forces. There’s also family persecution that happens when someone wants to convert from Islam to Christianity. It can be very dangerous or very difficult, they can be kicked out of the family or in some cases even killed. All of those factors still exist within Egypt even when the government is more stable and you don’t have some of the organized outbursts against Christian churches that you had last summer when you had 90 churches burned down and so forth. It’s still an Islamic country and the church is strong and I think it’s stabilized and doing well.